The Shimano OptiSlik Shift Cable Set has everything the serious mountain or road cyclist needs to achieve crystal clear, precise shifting. 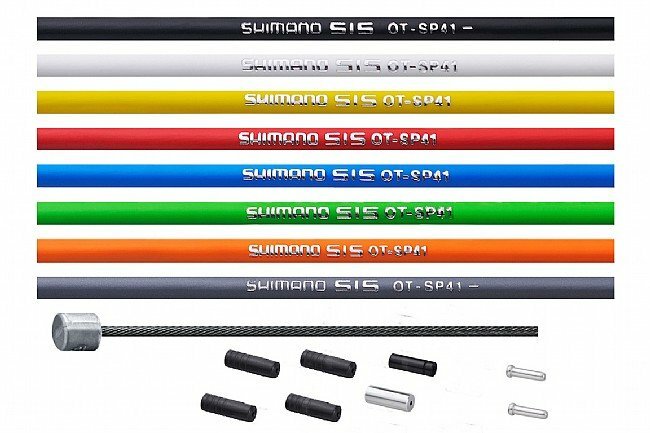 Featuring a lightweight friction-reducing coating that requires 20% less effort compared to Shimano's previous PTFE cables. With the polymer coating these cables have less surface area to cause friction between the cable and housing, resulting in a longer lifespan and more precise shifting. Compatible with Shimano road and mountain bike shifters. Includes two shift cables (1.2 mm head x 2100 mm or 1800mm length) and 1700mm of cable housing, sealed inner and outer cable caps. Available in multiple colors.